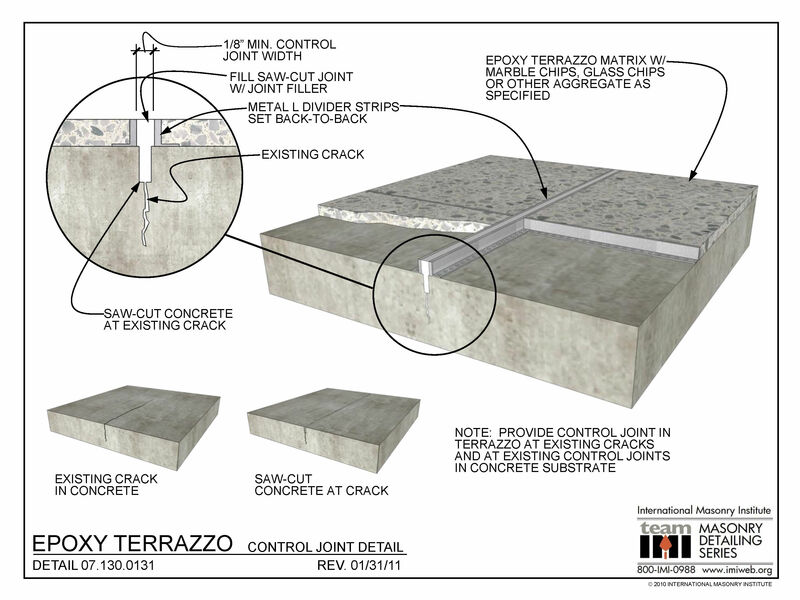 This detail shows a control joint in an epoxy terrazzo floor system, which would occur at a control joint in the concrete slab or at an existing crack in the concrete slab which should be saw-cut to 1/8″ wide prior to installing any terrazzo components. After the moisture vapor primer (not shown), back-to-back L divider strips are laid over the concrete joint to form the control joint in the terrazzo floor. The control joint is filled with sealant between the strips upon completion of the terrazzo installation.